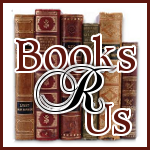 Ginger High- Books R Us: MEET & GREET # 8- ASHLEY T FROM AND THE LITTLE ONES TOO. MEET & GREET # 8- ASHLEY T FROM AND THE LITTLE ONES TOO. How did you decide on what to name your blog? I wanted something cute but also something that would also cover future kids. I am a working mother of 2 boys also helping support my husband through school. I started blogging a couple days before my son’s first birthday to help my family keep up with how he was doing. In the past year or so, I began doing more writing and dedicating myself to my blog. I dove into reviewing and loved it right away. I’ve been happy with it ever since. My husband is the only one who reads it regularly. It doesn’t bother me that they don’t read it… much. I know that if I wrote something that I wanted them to read and told them about it, they would check it out. When do you find the time to blog? I do most of my writing either right before bed after the boys go to sleep or during work. Sometimes its slow where I work and I could write 3 posts in a day and schedule them to keep up with days where there just aren’t any extra hours. What is your favorite item you ever reviewed? I have 2 favorite items I’ve reviewed. The first is a post I just published last week called Luminess Air (http://andthelittleonestoo.com/2011/09/luminess-air-airbrush-makeup-review/) and the other favorite is the SodaStream review (http://andthelittleonestoo.com/2011/07/drinking-soda-and-being-green-sodastream-review/). There were the 2 I had the most fun with. What brand or product would you really like to work with/review? I don’t have a specific company I’d LOVE to work with but I’d love to review a car seat. You can only do so much in the stores and I loved Hayden’s convertible seat but I am always on a lookout for a new one. What advice would you give a new blogger? Reach out to other bloggers and interact with them. I have found that I wouldn’t know as much as I do without the help of other bloggers around. What widget or feature could you not live without? Commentluv. It makes it so much easier for me to visit other blogs and check out what they write about. Maybe even start following them.